Woo-hoo! 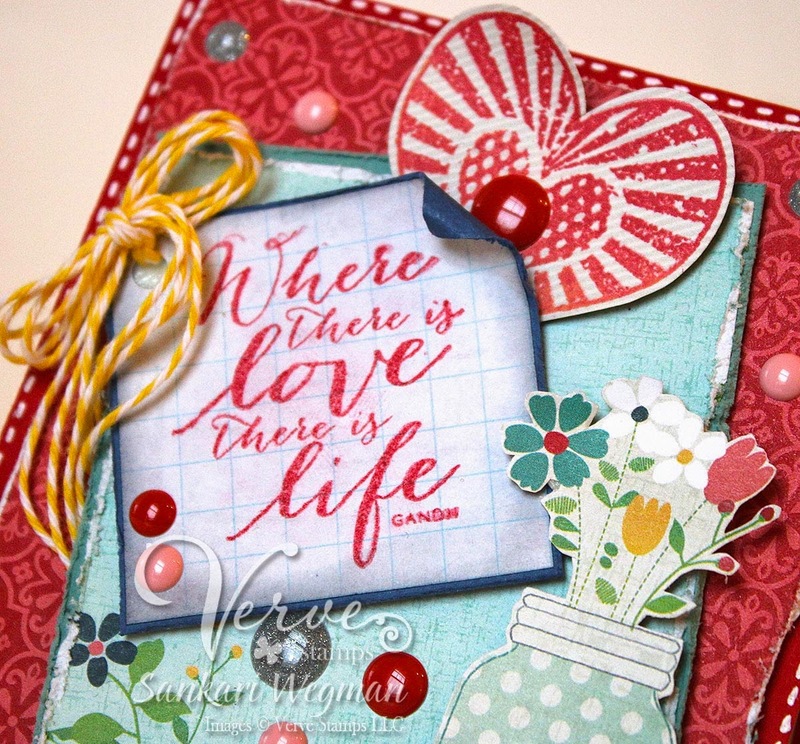 It's Day 5 of the 7 Days of Love Cards that I am playing with the creative genius of Jen Shults - my friend and fellow DT member - as we countdown to Valentine's Day and create love cards to celebrate! And that is what this stamp that has a heart with rays emanating out of it reminded me - a heart of love and full of hope radiating out - such a beautiful image! I absolutely LoVeD making this card - adding the little flowers to the bottom felt so good as I looked outside the window to see snow on the ground - lol - card therapy is so good for the soul! 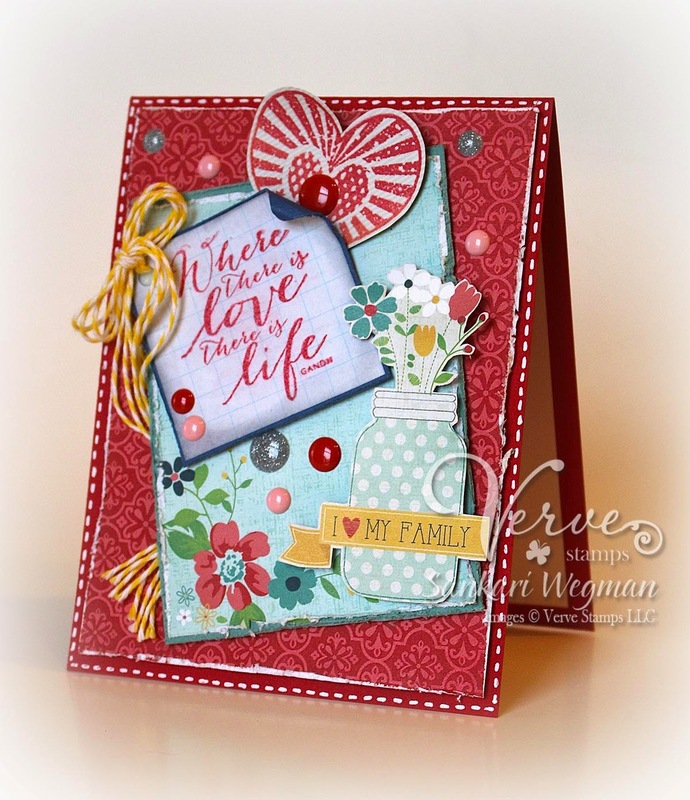 I can't wait to see what the amazing Jen has created for today's Love Card - Please hop over with me and check out her creation! Thanks so much for stopping by today! Please stop by tomorrow for Day 6 of Love Cards!! YAY! So gorgeous, Sankari! Love all the details and scattered enamel dots. 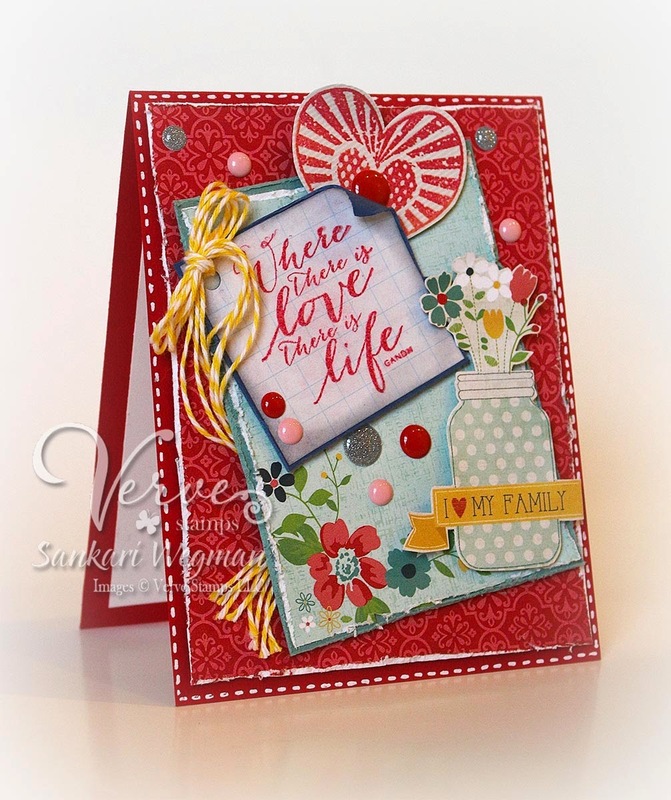 This is GORGEOUS Sankari! I love all the layers and your drawn in stitches just make everything pop. Gorgeous!